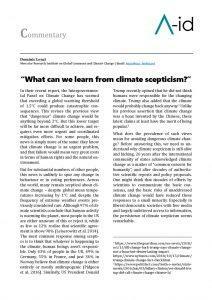 What can we learn from climate scepticism? 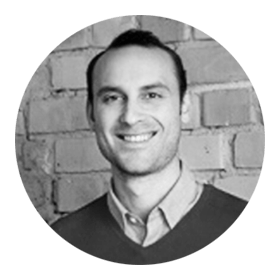 Dr. Dominic Lenzi is a researcher within A-ID’s Programme on the Environment and a post-doctoral researcher in the working group Scientific Assessments, Ethics, and Public Policy (SEP) at the Mercator Research Institute on Global Commons and Climate Change. He is a philosopher working on ethical and political issues raised by climate change and the preservation of the global commons. Dominic’s current research focuses upon topics relating to resource rights and global justice, and the ethics of negative emissions. His other philosophical interests include topics in ethical philosophy such as the nature of the good life and the justification of moral values, along with associated topics in political philosophy and ancient Greek philosophy. He completed his PhD at the University of Melbourne in 2015.